Of all the traditions my family has, Beer Tuesday is a certain favorite. It acts as a weekly champion to celebrate getting through the first part of the week and adds a little something to an otherwise boring Tuesday. In honor of National Beer Day (on April 7th), I decided to spend the month of April championing a few breweries in Kansas City who bring a little something to the area. This week, we raise a beer to the team at Crane Brewing in Raytown. 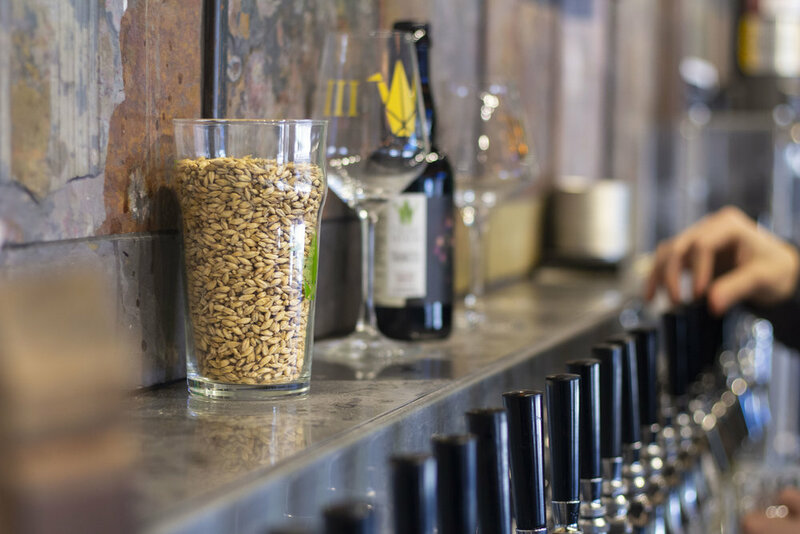 When it comes to brewing, Crane focuses on farmhouse ales and sours. They’ve become one of the few breweries in town known for their sours and that’s no mistake. “We liked brewing sours when we were homebrewing and it was a huge void in the market when we started. There were lots of sours in the country but not as many in KC,” Meyers recounts. That laboratory knowledge comes into play when they brew their sours. They choose to leave their beers “live,” which allows the beer to get as sour as it wants. Crane Brewing’s distribution has reached a multi-state level but they’re happy to stay at home in Raytown. “We still want to stay a Midwest brewery. We will continue to grow in distribution but we’re happy where we are in location.” Their Raytown location was chosen due to the real estate prices and to the uncharted brewery territory in the area. “The city worked really hard to get us in here and the local businesses have been supportive.” Crane Brewing has repaid the favor with local collaborations with JC Gregg of Covet Bakery and Hugo Tea.